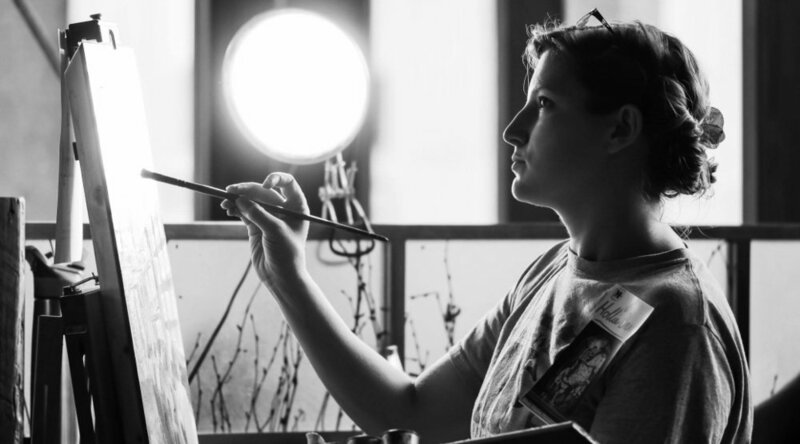 Born in Texas, Hollie Berry developed an early fascination with horses, cutting her teeth on the Houston Livestock Show and Rodeo’s school art competitions. Exclusively interested in depicting equines from the moment she was able to grasp a pencil, Berry encountered more resistance to her chosen subject matter from her teachers the further she progressed in her fine art education. Undaunted, she graduated in 2009 with a BFA in Studio Art from the University of Texas at Austin. A few years after graduation Berry moved to Chattanooga Tennessee and discovered a love for large scale public art as well. First she created “Dewdles”, monumental land art drawings in the dewy lawn of local Coolidge Park. These in turn paved the way for other opportunities like creating her first mural for the McCallie Walls Mural Project, “Four Horsewomen”. Since then she has gone on to create many more large scale public art projects including several more murals and an interactive art installation of flying books in collaboration with her husband, engineer Rudy Elizondo. Back in her climate controlled studio, Berry focuses on her equestrian oil paintings and torch paintings, created by burning images into wood panels with propane torches. Having been selected as the featured artist of the 75th annual Iroquois Steeplechase, she completed a body of work inspired by this iconic event including the featured painting, “Endurance” which was reproduced on posters, invitations, and programs to promote the Steeplechase. Her equine art has also been displayed in juried shows across the US from Los Angeles to Lexington. You can find her current series inspired by the theatrical equestrian performance Cavalia at her studio in Chattanooga and here on her website. 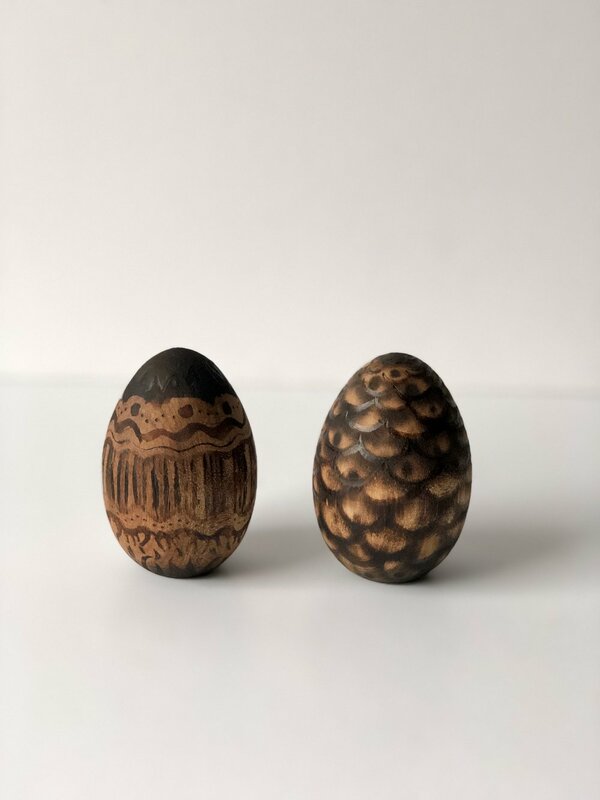 Created using Berry's signature method of torch painting, each egg was scorched with various patterns using propane torches.